A Japanese analyst has predicted that Sony's new PlayStation 3 console could drop in price by as much as $100 (£50) by October. And Goldman Sachs ' Yuji Fujimori isn't just talking about the US, either - he thinks the price cut could happen worldwide. The submission was made in a written investor note, reports Reuters . Fujimori believes the price cut would not harm the unit's long-term profitability. Indeed, the drop could give the console a much-needed boost going into the festive period. Fujimori notes there is previous form here - dropping the price of consoles has traditionally quadrupled subsequent sales. The console has gone on sale in the UK for £425. Even bringing the PS3 down by £50 would be a significant boost, given that the Xbox 360 costs £280 for the Premium Bundle. "The PS3 price has long been cited as high," Fujimori wrote, before saying that he sees potential in a slimmed down PS3 using fewer parts. Last month we reported on a 2009 European ETA for a new version of the console. 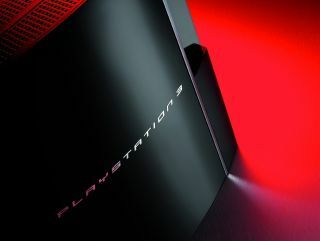 The reduced-size-and-cost PS3 will likely launch when the PS3's Core Processor moves from current-generation 90- and 65-nanometre circuits to 45-nm chips in late 2008 or early 2009. Of course, Sony has form here. PlayStation became the titchy PSone, while the PS2 was slimmed down by significant hardware changes in late 2004. The likelihood of a slimline PS3 is high.